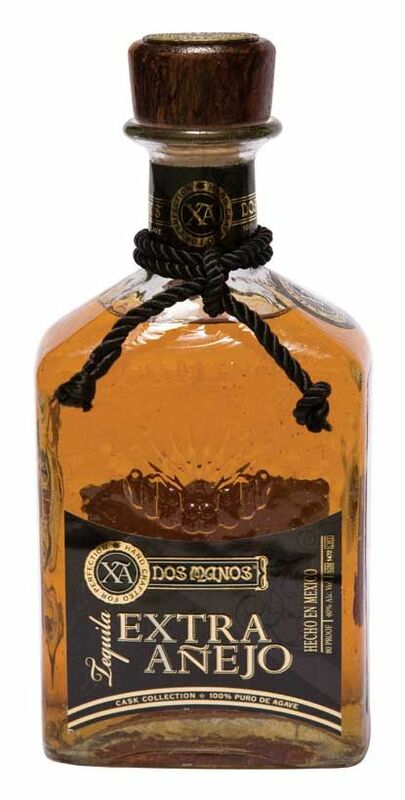 Dos Manos 100% Agave Extra Añejo tequila is Mexico’s newest designation for the finest quality aged 100% puro de agave tequila. Ours is a blend of hand selected three to five year old tequilas. Our reserve cask collection blend consists of tequilas resting in several types of barrels: French oak; American oak lightly charred; used bourbon barrels and used sherry casks. Skillful blending creates this innovative extra añejo tequila. Within these unique agave flavors you can even taste a hint of vanilla. Very limited production.